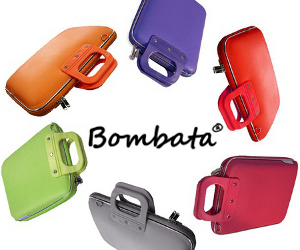 Welcome to a place where you can discover Brands and Products that are EPIC and PHENOMENAL. So many of us jump through hoops to get our hair to look beautiful. We color it, we highlight it, we curl it and we straighten it, the list of ways we abuse our hair goes on and on. As a result, we experience serious hair breakage. Whether your hair needs mending because it is slightly damaged, or perhaps it is in the worst case scenario condition, there is hope to repair it effectively and quickly! 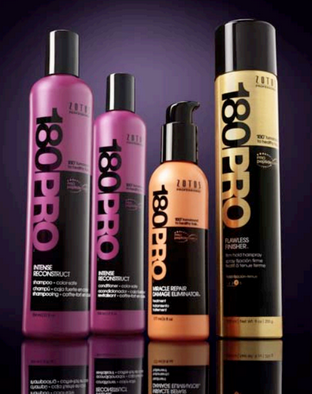 Zotos Professional has launched the debut of their new 180PRO hair care line. Designed to mend particularly traumatized tresses, the professional salon hair care system is proven to target hair’s worst, and repair up to 2 years of hair abuse. Zotos Professional Delivers a 180° Turnaround To Healthy Hair with this new damage-repairing 180PRO hair care line. 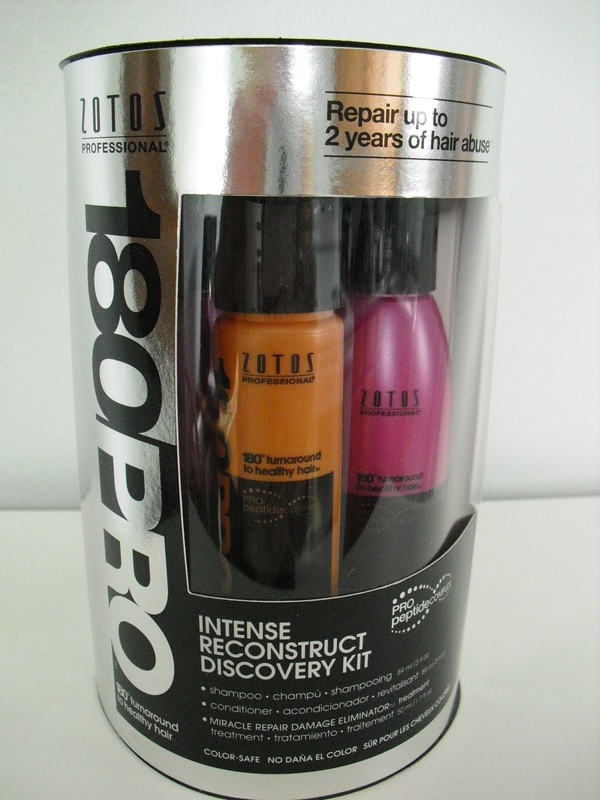 Zotos Professional 180PRO Intense Reconstruct Discovery Kit radically repairs and delivers exceptional hydration to dry, damaged hair. Zotos Professional 180PRO Intense Reconstruct Discovery Kit features ground breaking technology formulated with ultra-reparative Pro-Peptide Complex radically repairs while gently cleansing and conditioning severely damaged, overprocessed hair. When Intense Reconstruct Shampoo and Conditioner are used with the Miracle Repair Damage Eliminator treatment, reinforcing proteins and conditioning agents are drawn to damaged areas like a magnet, making hair even stronger. Color-safe. 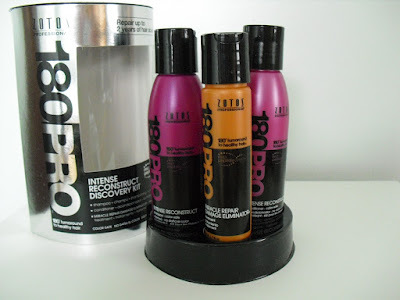 Intense Reconstruct Shampoo: Lather. Rinse. Intense Reconstruct Conditioner: Apply to clean, damp hair. Rinse. Miracle Repair Damage Eliminator™ Treatment: Apply 2-4 pumps to clean, damp hair. Start by applying to ends and then work through to roots. Add more if desired. Style using a heat appliance for best results. I have used each product one time. My hair is in pretty rough shape after the long, hot summer we had. My hair seems more brittle and I can see more split ends than ever before. I think the outside elements, along with all the heat styling that I do has really taken its toll on my hair. So this discovery kit is ideal for me. 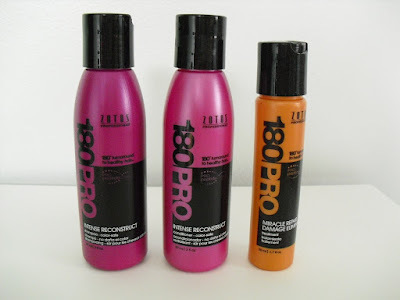 Because I have only used each product once, it is going to be a bit dubious for me to really give a raving review, because to repair the damage that time has done to my hair, will take time to repair. But, after using each product in this kit just one time, I can already see a measurable improvement to the overall texture and condition of my hair. The ends seem much less brittle and split, it does not feel as coarse as it used to, and the overall appearance is healthier. I can only imagine over time how gorgeous my hair is going to look, with continued use of the 3 key products in this kit. Zotos Professional 180PRO Smooth and Soft Recovery Discovery Kit features groundbreaking technology that conditions and renews damaged, rough, frizzy hair to deliver exceptional smoothness and repair. 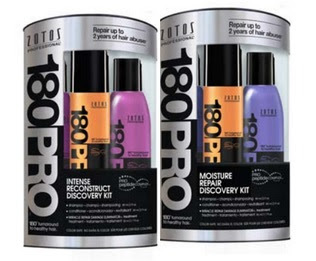 Zotos Professional 180PRO Smooth and Soft Recovery Discovery Kit features shampoo and conditioner that radically repairs while gently cleansing and deeply conditioning damaged, rough and frizzy hair. This dual has been formulated with ultra-reparative Pro-Peptide complex™ to target hair's worst breaking points and actually improve hair's condition with each use. When used with the Miracle Repair Damage Eliminator™ treatment, reinforcing proteins and conditioning agents are drawn to damaged areas like a magnet, making hair even stronger; repairing up to 2 years of hair abuse. Smooth and Soft Recovery Shampoo: Lather. Rinse. Smooth and Soft Recovery Conditioner: Apply to clean, damp hair. Leave in 1-3 minutes. Rinse. Miracle Repair Damage Eliminator™ Treatment: Apply a quarter-sized amount to clean, damp hair. Style using heat for best results. I have tried each product one time. 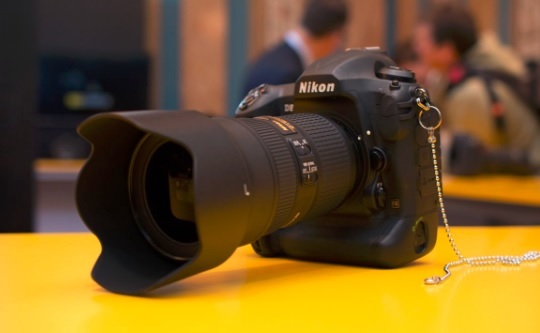 I am very impressed with the results I experienced after just one use. They all smell very pleasant, they all are rich and luxurious in texture, and my hair definitely felt softer, more hydrated and much silkier afterwards! 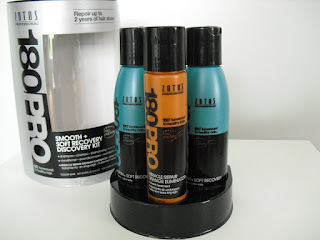 I know with continued use, these products are definitely going to return my hair to ideal moisturized condition. My hair is always pretty dry, and I would say it is in moderate need of repair. So for me to be able to see an improvement in appearance and touch after one use of each product is excellent. 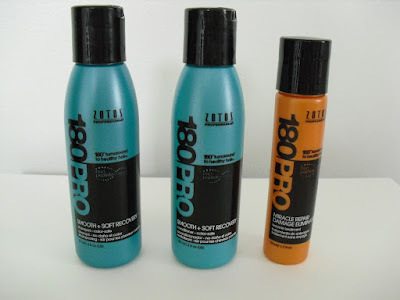 I highly recommend this trio if you have very dry hair that is in need of immediate nourishment and feeding. These products are like a Thanksgiving Dinner for your hair, providing it with all it needs to come back to life and be shiny and luminous again. 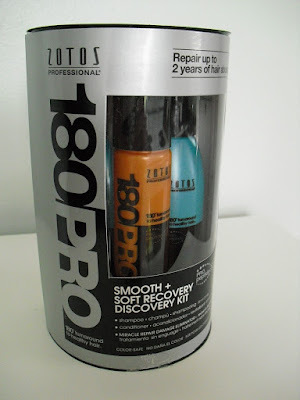 Disclosure: I received the two 180Pro Discovery Kits outlined in this review from Zotos Professional for the purposes of this review. This has no bearing on my completely honest review above and was not influenced by any type of monetary compensation. 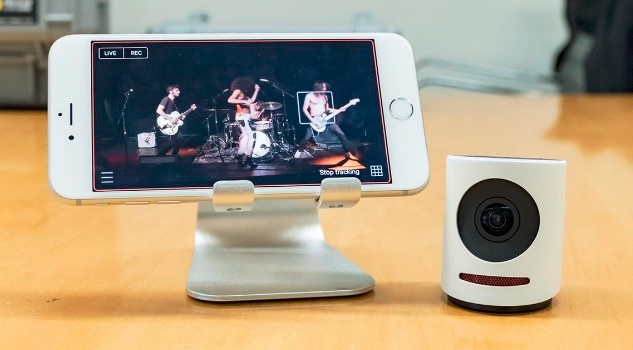 The opinions and experiences I’ve shared with this product are my own and yours may differ. I am not employed nor affiliated with Zotos Professional in any manner. Unique & Elegant Gifts for Mom! Please email me at epicnomenal@gmail.com and I will send you this blog's media kit. Thank you! 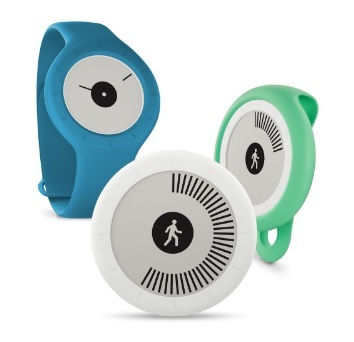 Withings Go is perfect for anyone ready to give activity tracking a go. 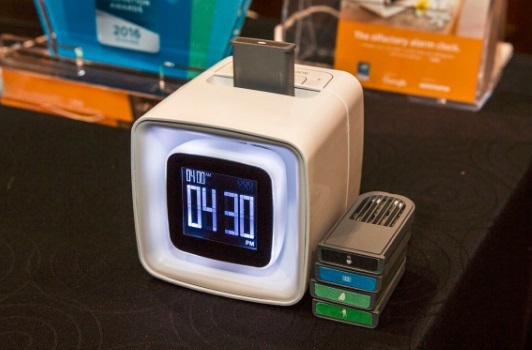 The olfactory alarm-clock gradually awakens you from your slumber using pleasant and enjoyable scents. These perfumes embody the powerful Faustian desire to try to hold on to a beautiful moment, and the constant exploration of the "self and the non-self". The perfume uses its full power to evoke the experience of being by the fire - a moment which represents a life lived to the fullest and intense. All the evocative essences of a beautiful memory are trapped inside the precious olfactory molecules, forever etched in our minds. 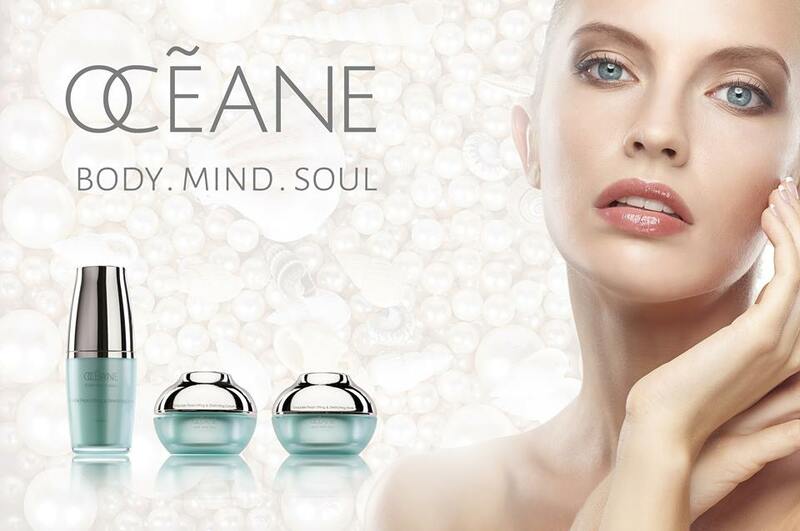 Luxurious Body Fragrances and Candles. Cutting Edge Science Married with Nature! 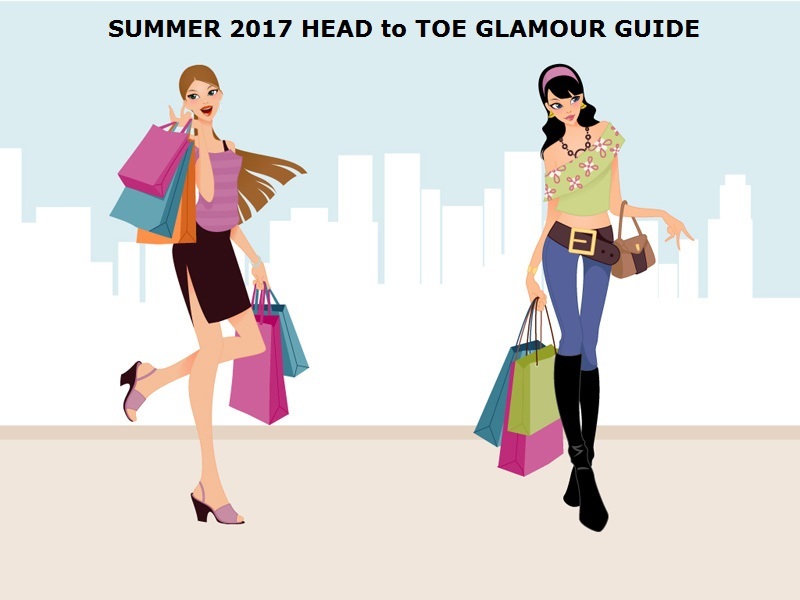 URBAN CHIC and ULTRA UNIQUE FOOTWEAR! Kat Burki formulas come to life empowered by Cold-Pressed Oils, Cold-Poured into Complex Ingredient Decks that are then Cold-Processed as a whole under 120°F/49°C and lower temperatures. 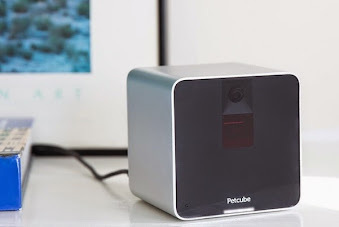 Stay Connected To Your Pet When You are Not at Home! 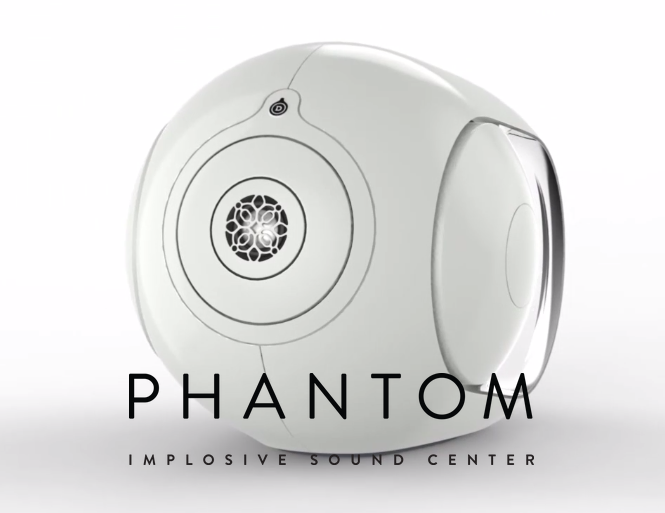 There is nothing more fun to me than finding out about a new product, having the chance to try it out and experience that "wow" factor the first time you use it. I am constantly in pursuit of products that will blow me away, stand out from the ordinary, so I can share them with my readers. 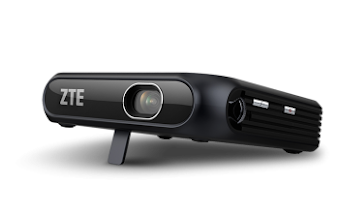 I am passionate about reviewing products that are cutting edge and innovative. If you would like me to be wow'd by one of your products, contact me, I'd love to hear about your products and perhaps review them for you right here on my blog. A Premium Candy Line that represents the fun, fashionable, sweet side of international tennis sensation Maria Sharapova!